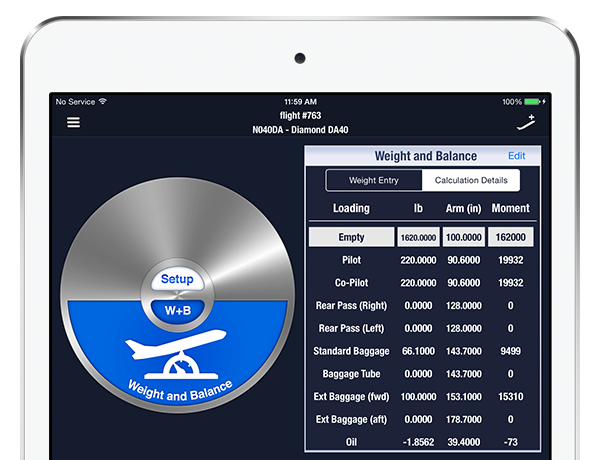 We made sure that you can use Weight and Balance for every aircraft you fly! You can save any weight and balance calculation as a Flight to save you time in the future. 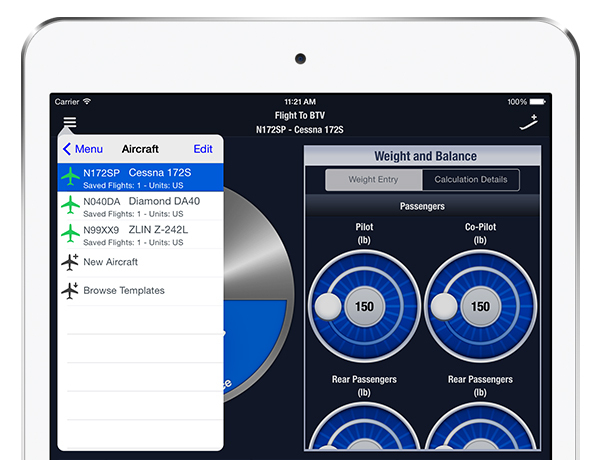 Just a tap of a button to add new stations, sorted by type, so you can quickly create an aircraft definition. 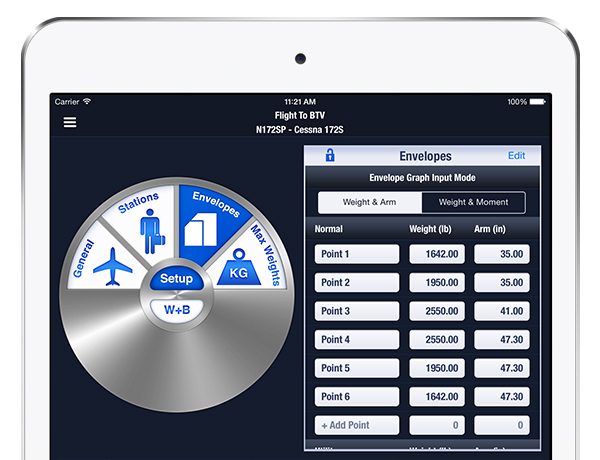 Weight and Balance uses a simple Point entry system for creating your aircraft envelopes with precision. 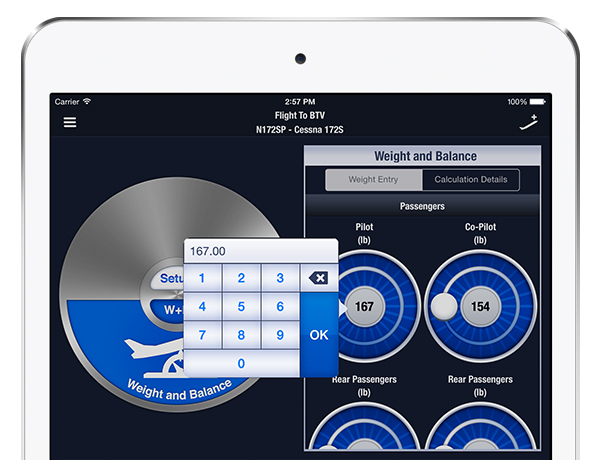 Use our weight input dials or the quick tap num-pad to enter weights and leave the calculations to us. 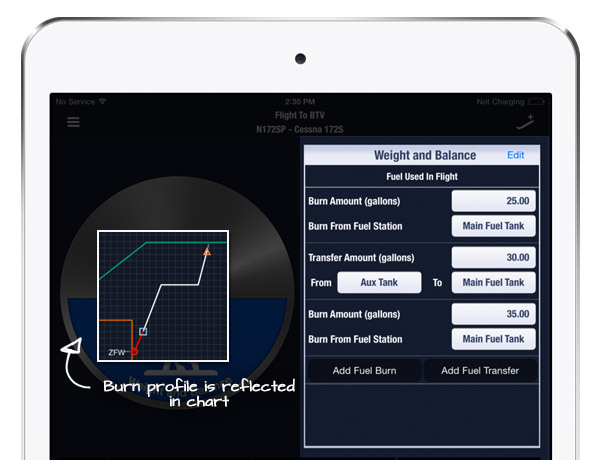 We support aircraft with multiple fuel tanks allowing you to enter a detailed fuel burn profile. All of our calculations can be viewed with the tap of a button, or printed for your convenience. 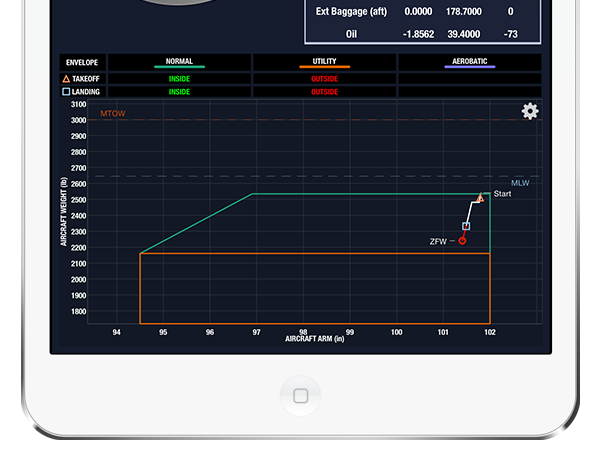 All of our calculations will be displayed in an easy to read graph that is updated as you enter your information. 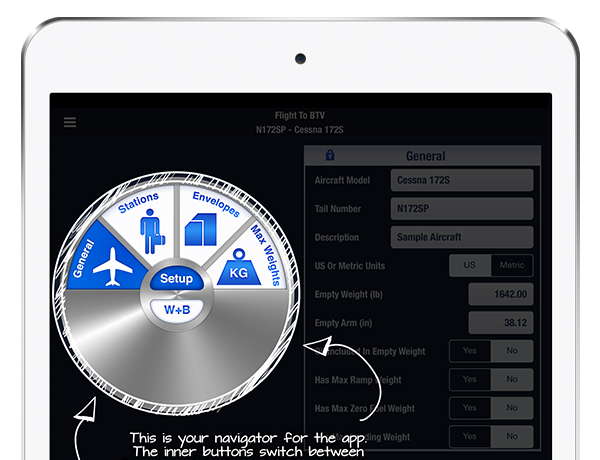 Weight and Balance includes a quick tutorial of the app so you can quickly familiarize yourself and get in the air. 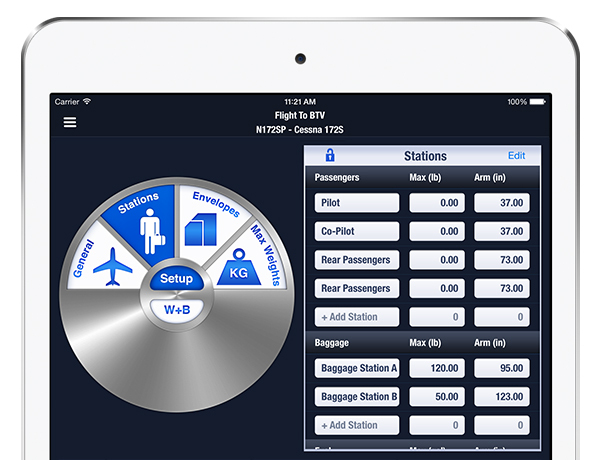 Visit Jazz Software in the the App Store! Jazz Software® is a registered trademark of All That Jazz Software LLC. Copyright © Jazz Software 2019, all rights reserved.